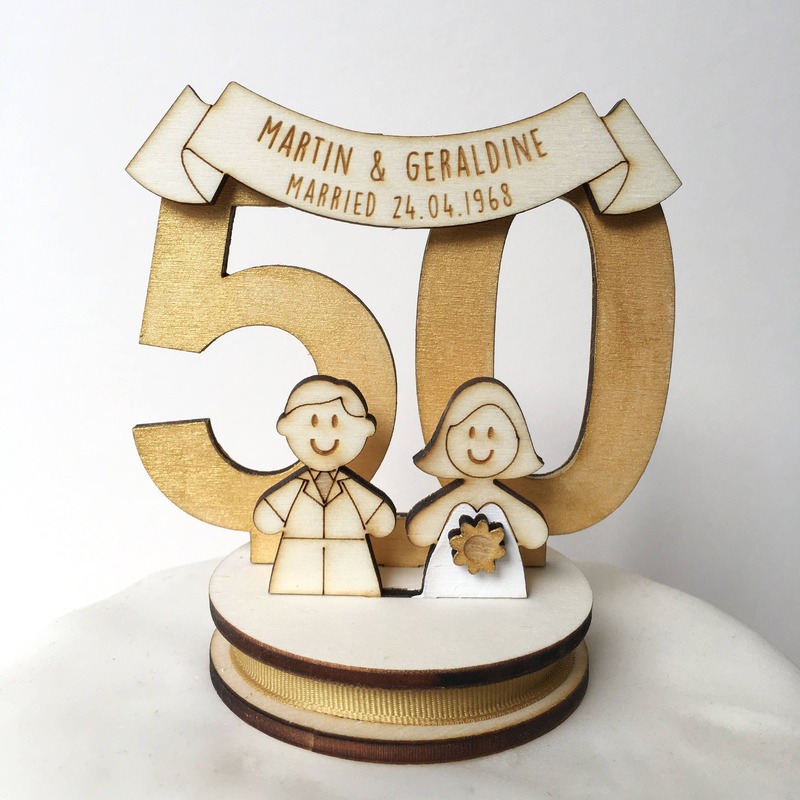 A delightful wooden cake topper featuring a cute Bride and Groom standing front of a gold 50. 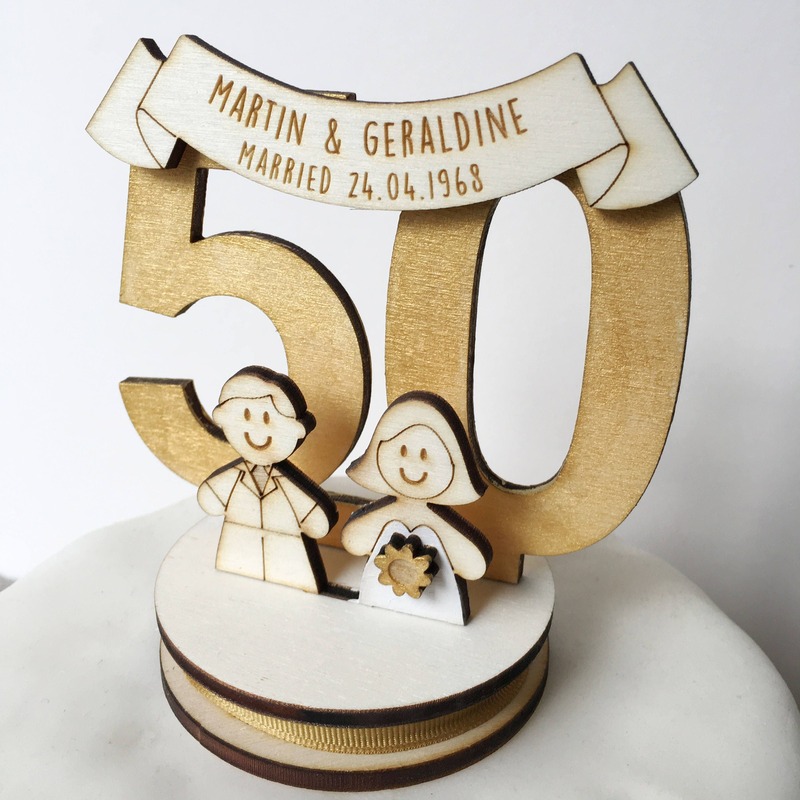 The figures are laser cut from wood, with hand painted accents and mounted on a wooden real base. 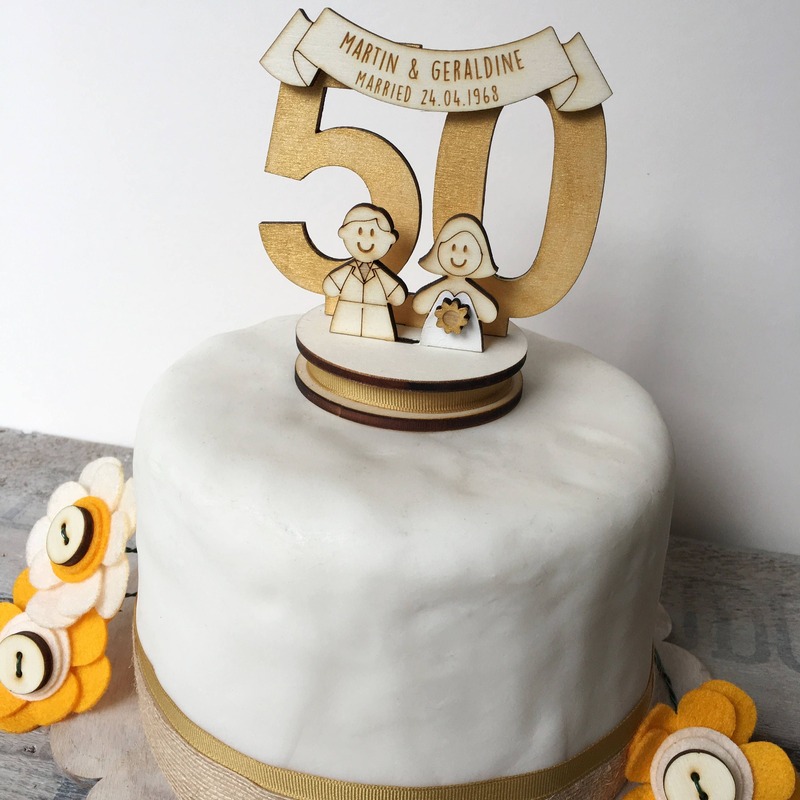 A lovely way to give your wedding cake a personalised touch and to keep as a memento of the day for years to come .Each topper is made to order. Height approx 12 cm tall base is 7cm in diameter. 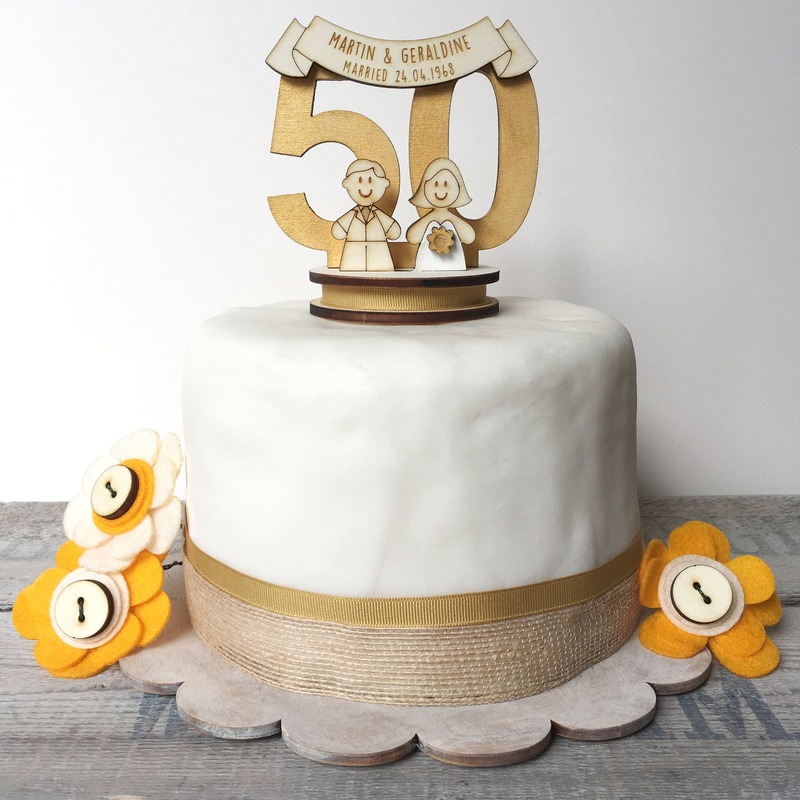 The topper is shown on a 6" round 4" deep cake in the photo. Please enter the couples first name's and the date of their wedding in the message to seller on check out. You can also select to add the cake trimming as shown in the photo. One set includes 3 felt flowers, 1 meter of hessian ribbon and 1 meter of red grosgrain ribbon. If you have any questions regarding ordering please contact me and i will be happy to help.